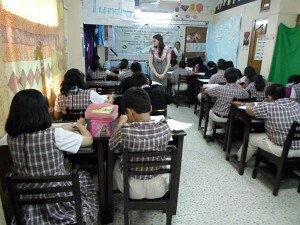 YPSA and William Carey Academy, Chittagong jointly organized “Coastal Kids Art Competition” with the support of Coastal Kids Project of Displacement Solutions on January 22, 2014. Students of class five and Six of William Carey Academy attended the art competition on the topic of “Climate Change and Climate Displaced Peoples”. Penelope Howder, Interim Director of William Carey Academy thanked YPSA for organizing the art competition about the challenging issue. Then she inaugurated the art competition. 50 participants from 2 classes took part. After the judgment of 3 adjudicators, 10 students were awarded for best performance. 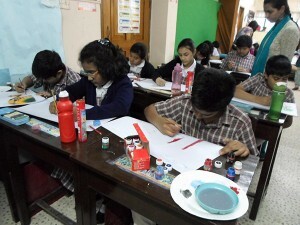 Adeeb Chowdury, Raima Mallick and Agatha Talapatra won the first, second and third places respectively. First 3 winners were awarded crests as well as a framed certificates. Ms. Krikkit Holly, class teacher, Level-V of William Carey Academy moderated the prize giving ceremony. Mohammad Shahjahan, team leader of YPSA-HLP project expressed his gratitude to authorities of William Carey Academy for all kinds of support extended for organising the competition. He also said climate change is amongst the most burning issues in Bangladesh. 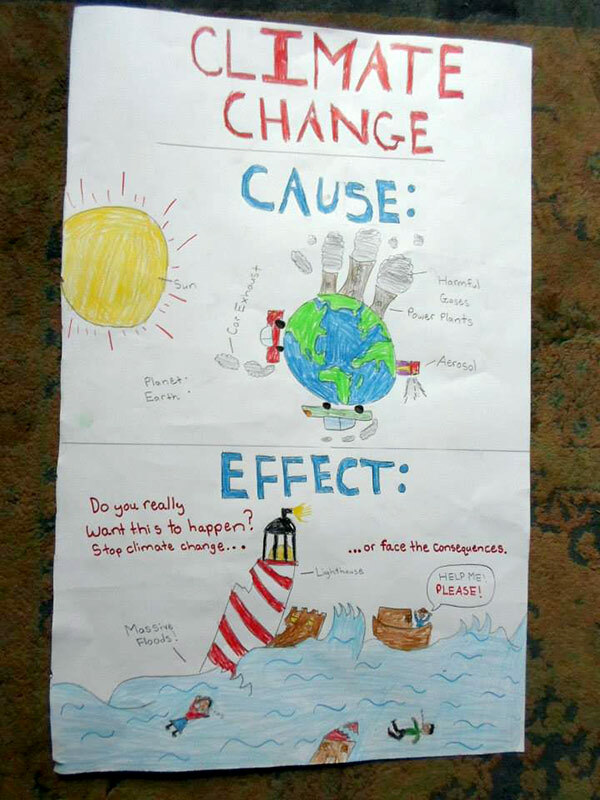 Children are affected most due to changing climate and the aim of the art competition was to build awareness about climate change. Ms. Penelope Howder distributed the crests and certificates to winners of the art competition. At that time she said learning fine arts by kids is not only as hobby today or a subject of a school syllabus; the way one kid is mixing colors, decorating it & create some artwork – these come from the inner side of brain. In future they will act as a good planner for climate change impact and adaptation strategy for Bangladesh. Program officer of YPSA, Mr. Prabal Barua and Sayed Ashraf Ullah were present in the art competition and prize distribution ceremony. Mr. Jirthang Bom of William Carey Academy coordinated the Coastal Kids Art Competition.